90cc 4-Stroke: A 90cc, 4-stroke, 2-value engine is perfect to get any young rider started out on the right thumb. Fully Independent Front Suspension: The fully-independent suspension enhances traction by providing full tire contact with all types of terrain, producing an ultrasmooth ride while maintaining 7.25 inches of ground clearance. Kenda Tires & Powder-Coated Steel Wheels: Powder-coated steel rims wrapped in Kenda tires. 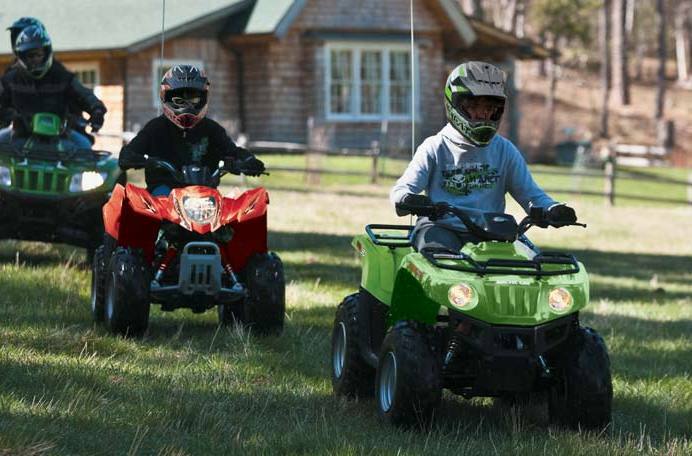 These tires are durable, reliable and smooth and keep the fun going for your little rider. 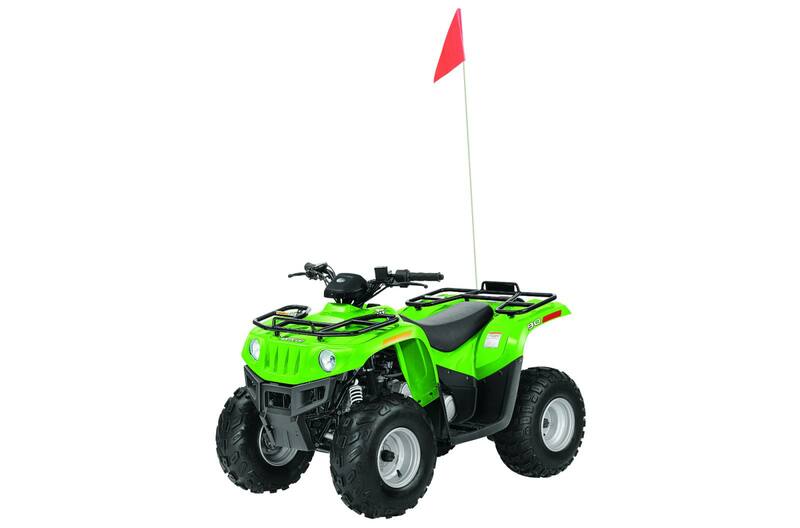 Safety Features: This standard safety flag keeps the fun going by letting others know your youngster is right there riding and the speed limiter allows mom or dad to set the speed of fun. Working Headlights & Taillights: Working headlights and a taillight shine the way, letting you know exactly where your young rider is. Front & Rear Steel Racks: These front and rear steel racks provide the durability you want and the storage capacity they need for any adventure or to help out around the yard. Front Rack Capacity: 10 lb. Rear Rack/Box Storage Capacity: 15 lb. The minimum operator age of this vehicle is over 12. 57.8 in. x 34.5 in. x 37.9 in.